Learn, request help, manage your account. 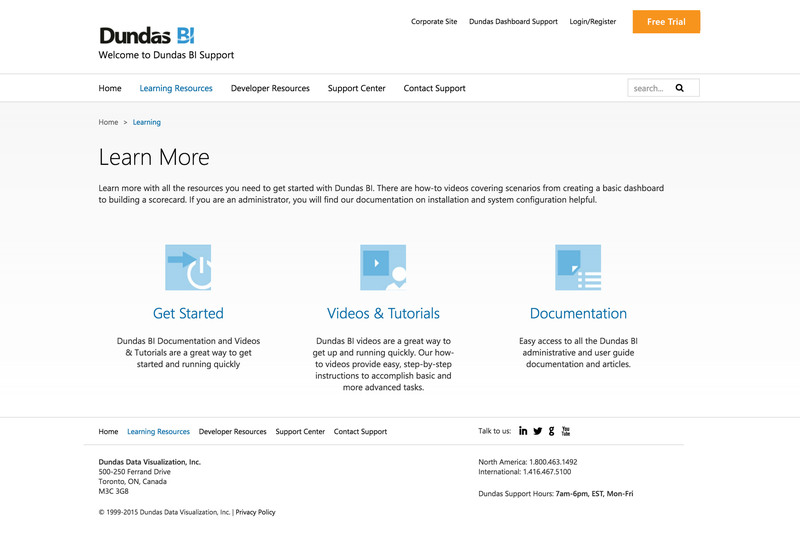 Dundas BI Support is a site where users can to learn how to use Dundas BI product, learn BI best practices, get technical support and personal account management. 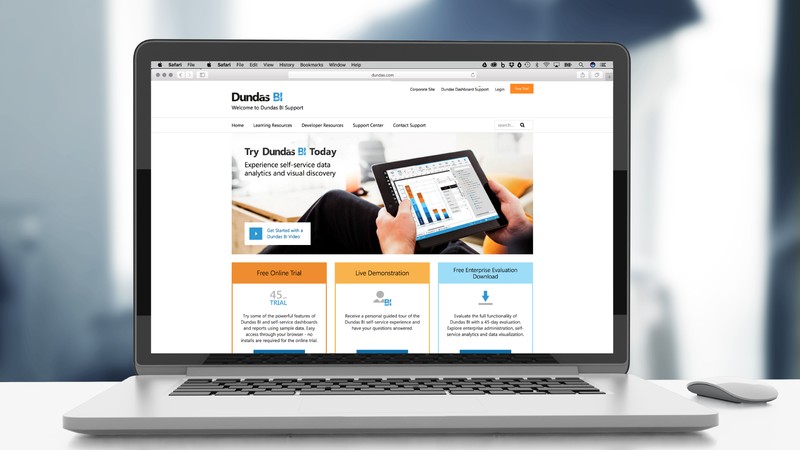 Dundas BI is a responsive HTML5 web technology that allows users to connect, interact and analyze their data on any mobile device including tablets and smartphones. It is supported on iOS, Android, Windows or BlackBerry. A new support website was required to help Dundas clients get the most out of our products and their investment, which will in turn help to improve Dundas customer satisfaction and loyalty. 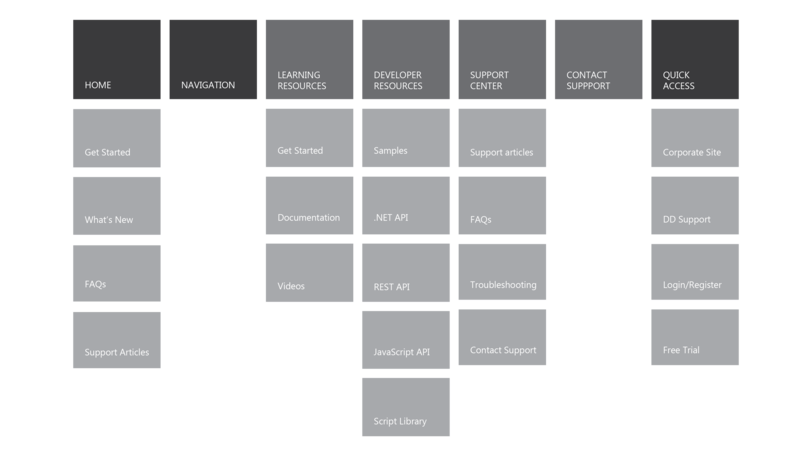 The new support site should focus on user education and client self-service. Goal - Get clients to revisit the support site not only to seek answers to technical problems or questions but also to learn about BI best practices in the context of our Dundas BI product. Dundas clients can easily find the answers to their questions regarding product usage from our knowledge bases before reaching out to Dundas technical support staff. In addition to traditional technical support (help center) functionality, the content on the new site is both informative and dynamic. One of the most important things that had to be done was alignment on a new site structure. 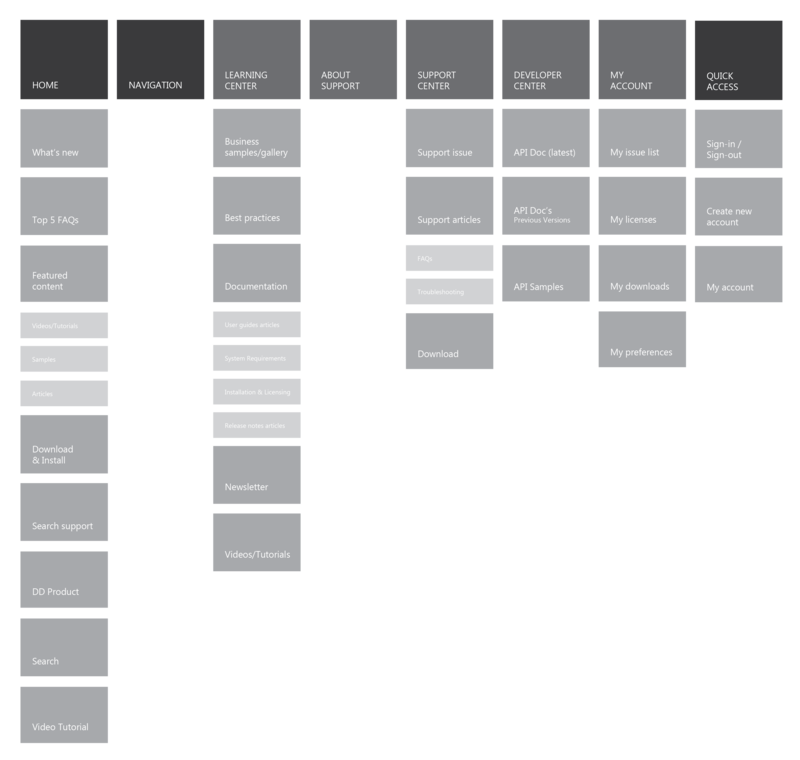 The existing site structure severely fragmented and disorienting. We wanted the website to be in line with Dundas branding, have a modern and clean style (e.g., consistent with Dundas corporate website). 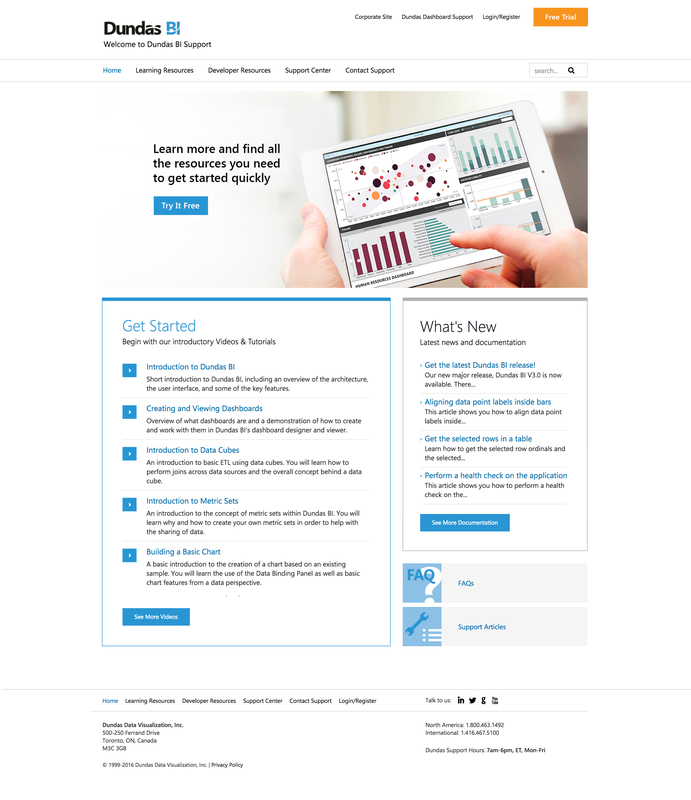 It should look good on desktop and tablets/ipads) and responsive (Since Dundas BI can be used on tablets such as iPads for both design and viewing, users will want to access the support website from tablets and possibly smartphones as well). Visit Dundas BI Support Site. Note that the current website design is not the one reflected in the project. 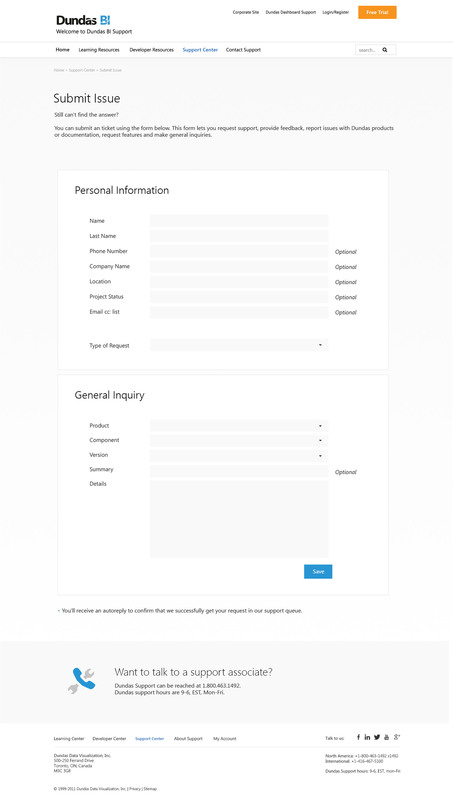 Axure Wireframes also available upon request.